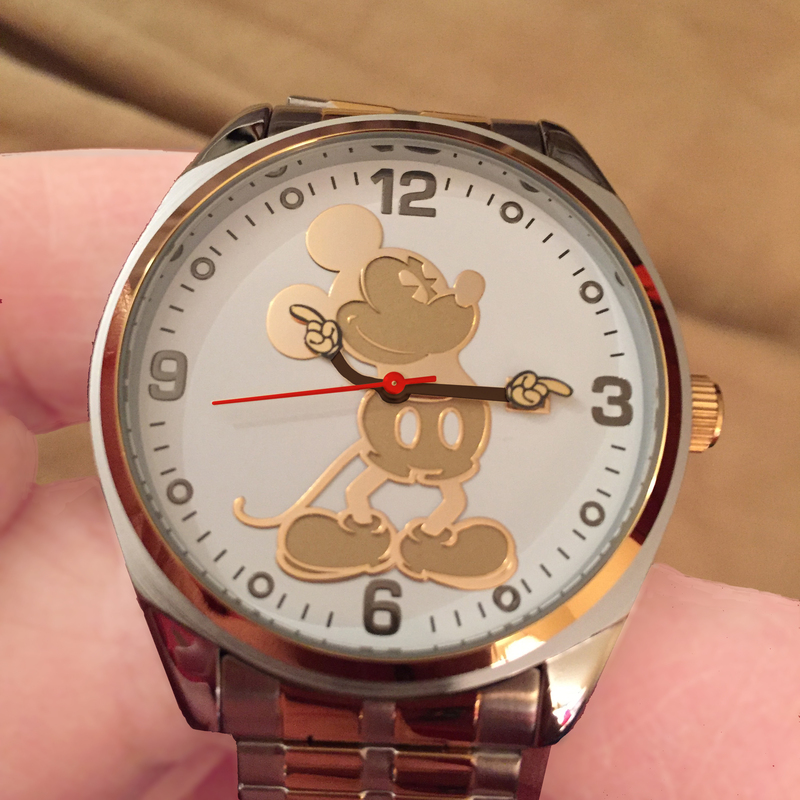 I received a beautiful Mickey Mouse watch from my wife after her 2016 trip to Disney World. As you can see in the first photo below, its face is silver, while Mickey himself is all gold, as are the numerals and marks. Only the lines on Mickey's gloves are black. With little contrast between the hands and the rest of the face design, it required a bit of scrutiny to decipher the time. 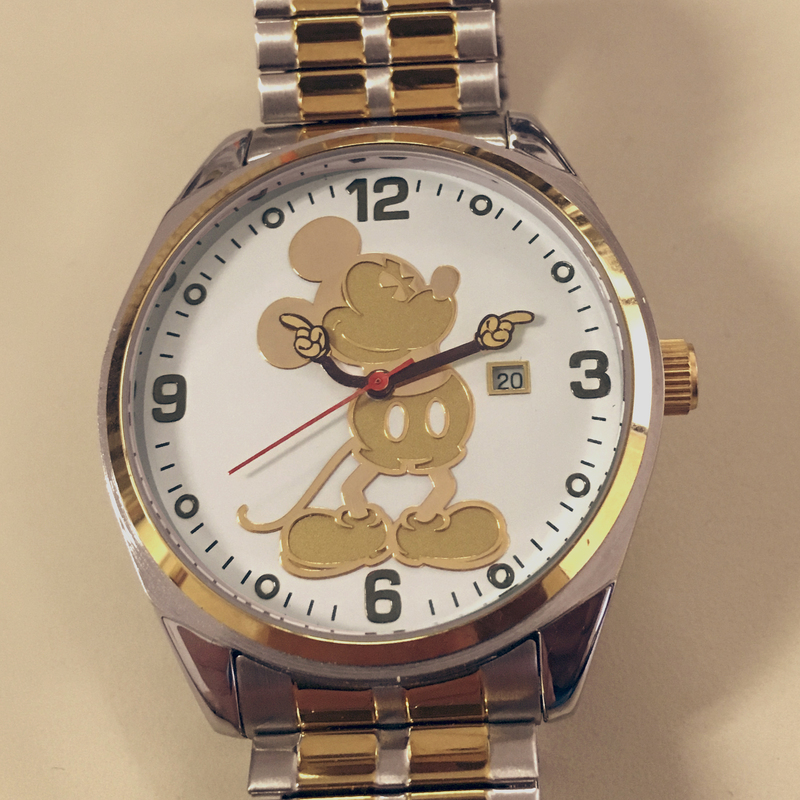 As a graphic artist, I envisioned adding some color to the watch hands (not Mickey's hands) and set about simulating this using Photoshop. My simulation is shown in the second photo below. This was taken to my local jeweler in Hillsboro, Oregon, a shop named Goldworks Design Manufacturers. They quoted a price of $30-40 to disassemble the watch, color the hands to match my simulation, and do reassembly. The third photo below shows the end result of the work by Goldworks. They used permanent markers to color the hands which, being transparent ink, allows the metallic sheen of the hands to show through. Very nice, I think! The watch as it came from the factory. Hard to read. A Photoshop mockup of the watch with painted hands. The watch with hands colored by Goldworks.